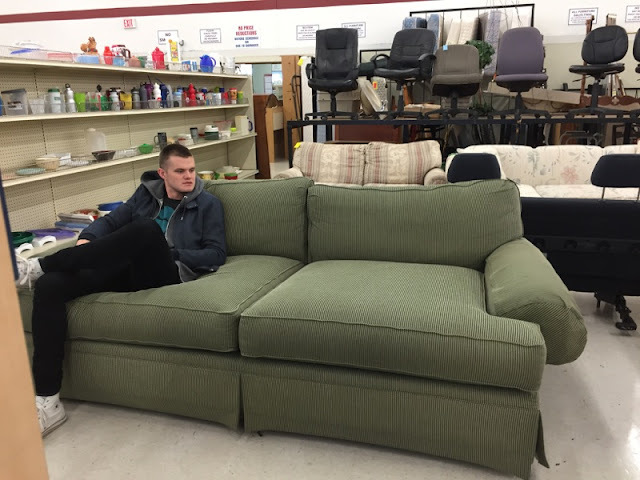 Back in May, I went to a local thrift store and came across an insanely comfortable, deep, overstuffed, nineties green stripe couch. I loved it. I don't know why, but the depth of couch my husband and I dreamed of owning and napping on one day must have drawn me in. I mentioned it to Jordan and we decided it was a better idea to hold off and save for our dream couch since there were other things we wanted to accomplish for our house first. I kept bringing the couch up in conversation, I guess I didn't have anything better to talk about. Jordan and I even went back to look at the couch once more and still decided to hold off. It came up AGAIN in conversation (I can't tell you how many people I told about this terrible couch) and it happened to be a friend Jordan worked with. I guess she brought it up the next day because he texted me "I think we should get the couch" and I was IN! Even better, I went to go buy it and it was half off that particular day. It was meant to be. So we lugged our $100 huge couch into our tiny home. Before we bought the couch, we [obviously] knew we would reupholster it. It was still uncertain of who would reupholster it….and even joked that I could do it. Once we bought it, it seemed like it was decided…I was going to take on the project. 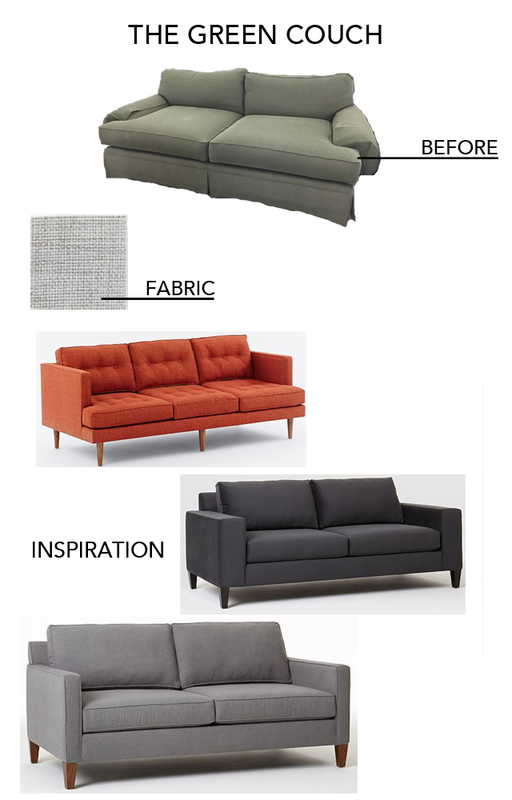 But not only reupholster it, I would be changing the shape of the couch (insert nervous emoji). I landed on this fabric from West Elm after seeing it on a sectional in the store. 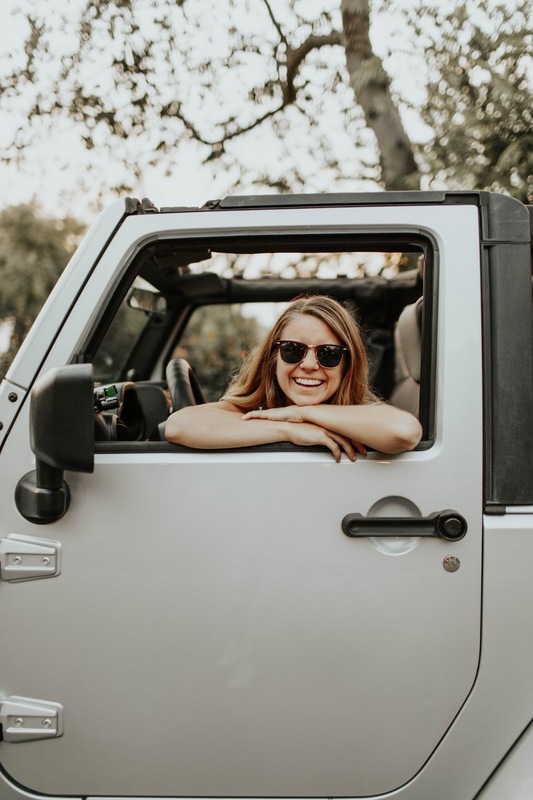 It was an investment, but Jordan and I decided this was an investment project…not just a simple DIY that hopefully turns out okay. Fast forward 5 months and that is exactly why I am still working on the finishing touches of the couch. It's been a love/hate relationship but I'm dreaming of the moment I see it in our living room for years to come. Through the time I've spent working on this couch, I feel like I have learned SO much. Not only about projects, reupholstering and design but about myself, motivation and not giving up when reupholstering a couch sounds like the stupidest idea I've ever had. So stay tuned…there are more posts to come about this big ole couch. Including tips on reupholstering for the first time, picking out a couch, fabrics & tools to use, process photos, and of course: the reveal! Such a big project, but I think you will feel so rewarded at the end! I'm excited to see it. The depth is awesome! Looks like the perfect nap couch :) I bought $5 mid-century chair recently that is going to be my big reupholster project. Very nervous, but excited about getting it done.